Let’s Do This, the world’s largest marketplace for endurance events, has joined RunSignup as community partner in the Race Directors Hub, Facebook’s largest online community of race directors and race management professionals. 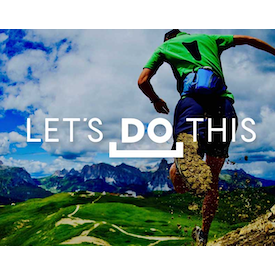 Let’s Do This was launched in 2016 with a dual mission of inspiring more people to have epic experiences, and helping race directors attract new participants and fill their races. It is this online marketing expertise Let’s Do This will be bringing to the Race Directors Hub community through a series of webinars, educational articles and exclusive race director offers. “It’s a great pleasure to welcome the guys at Let’s Do This to the Race Directors Hub family. Let’s Do This have sparked a complete rethink around the role race marketplaces can play in the race marketing mix, and we hope through their help to get more race directors in our community thinking about new ways to continue to grow their events in the current flat market,” said Race Directors HQ editor, Panos Gonos. For more information on Race Directors Hub and to join the discussion, visit: https://www.facebook.com/groups/racedirectorshq/. For a look at how Let’s Do This helps race directors maximise revenue, visit: https://www.letsdothis.com/organizers/. Let’s Do This is the world’s largest marketplace for endurance sports helping over 250,000 users to find their perfect race every month. Founded by a former race director in 2016, Let’s Do This has grown rapidly and is now powering global race listings on Runner’s World and Strava. Let’s Do This’ aim is to grow the race industry by inspiring more people to sign up for races, and to bring race directors new participants and help them fill their races. With more than 3,700 active members, Race Directors Hub is the largest online community of race directors and race management professionals. The group offers race directors a place where they can network, share ideas and learn from each other, as well as access exclusive educational content provided by Race Directors HQ and our community partners, RunSignup and Let’s Do This.